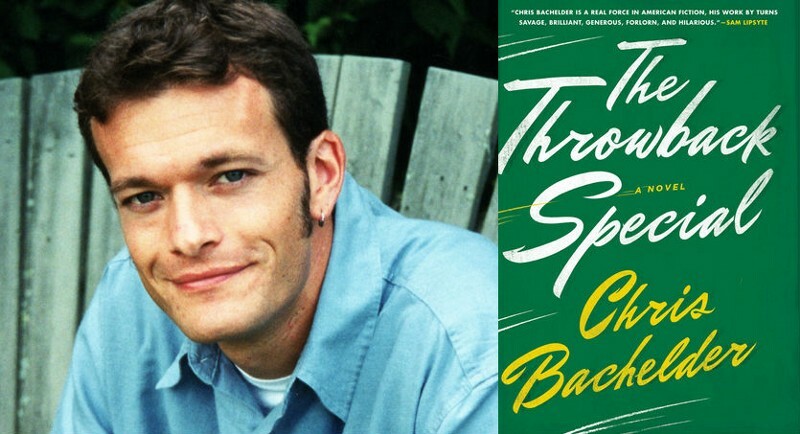 On November 18, 1985, on ABC’s Monday Night Football, New York Giants linebacker Lawrence Taylor shattered the leg of Washington Redskins quarterback Joe Theissman in a brutal play the Redskins later referred to as the “Throwback Special.” And every year on November 18, in Chris Bachelder’s novel of that name, a group of 22 men convene at the same hotel and drive to a nearby football field to reenact this iconic moment in NFL history. The book opens as year sixteen of the long-running tradition is just commencing (the first to arrive at the hotel is nearly always Robert), and takes us all the way through the elaborate set-up, the play, and the celebratory aftermath of the ritual. But don’t be deceived by the simple premise. You don’t need to be well-versed in football history or tactics to enjoy The Throwback Special (although it wouldn’t hurt). Bachelder’s light-handed romp through the group psychology of the American male covers so much more than obsession with the sport. Marriage, divorce, parenting, middle age, bodily deterioration, racial politics, continental breakfasts, continuity, the attractions of women, the complexities of urinal etiquette—these are just a few of many subjects of reflection. Beyond a handful of somewhat distinctive players, you won’t be able to remember who anyone is, but you don’t really need to. Bachelder’s psychological insights don’t depend on a prolonged readerly relationship with any particular character, and no single consciousness occupies the narrative for more than a few pages. Personality differences between individuals emerge within particular interactions—often as men try to avoid, and then reluctantly come to terms with their secret enjoyment of, physical or emotional intimacies with the overly gregarious librarian George—and then fade. But with this large cast of mostly interchangeable characters, one-liners and witty set-pieces abound. One of my favorite refrains involves one character or another feeling compelled to confess what he views as a personal psychological deformity to the group’s professional psychologist, Charles, who counsels young women with eating disorders. (No man can be convinced that his, say, bizarre sexual attraction to the illustrated, sometimes animal mothers in children’s picture books actually falls outside Charles’ wheelhouse.) Bachelder has a real gift for spinning this kind of conversation out to hilarious effect. “Oh, they’re not so bad,” are her exact words. Next Post New Books 11/8!